"We've got a good chance"
Tero Vauraste from the state-owned polar vessel service Arctia says Finland has a good chance to finally break into the US icebreaker market with this latest development. 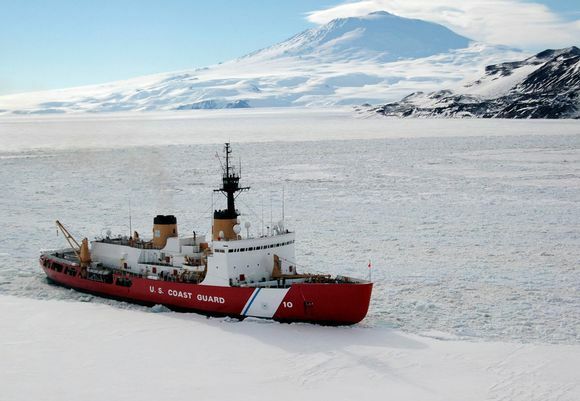 "The US icebreaking capacity is nowhere near its requirements. Finland, on the other hand, is number one in the field. We have expertise in the entire chain of services: from design to implementation to maintenance and repair," he says. Next year's US budget is currently being wrangled over in Washington, and decisions on appropriations will be soon forthcoming. Over 20 Finnish firms – including leading systems providers and machine shops – have been lobbying for a piece of the pie. "For a project of this nature, one machine shop could potentially use the services of about 100 subcontractors," says Finpro's Lainio. The initial schedule has laid out that the first new US icebreaker be ready for action in 2023. This means that in order to leave enough time for the engines and speciality parts to be manufactured, procurement should start by the end of 2019 at the latest. After the first ship is completed, the other two should be taken into use in 2025 and 2026. Arctia's Vauraste points out that Finland's icebreakers sit at harbour through the summer months each year, leaving the possibility of renting the mighty vessels out to the Americans until the US completes its fleet. Nothing prevents bilateral commercial cooperation beyond this time either, he adds.